For weeks, “Mad” Mike Hughes, a limo driver and stuntman, has captivated people around the world with his plan to launch himself into the air in a 500-m.p.h. “homemade rocket” to prove the Earth is flat. Some people were hoping Hughes would succeed and show that NASA has been lying to everyone. Others were eagerly awaiting his impending Darwin Award. But none of that matters, because it is now past the twice-delayed deadline, and Hughes has yet to launch anything. I wanted to know for myself if the launch was still happening, so I emailed Hughes last night. He eventually got back to me, pointing me to a video uploaded to YouTube on Sunday by a group known as the FLAT EARTH NETWORK. 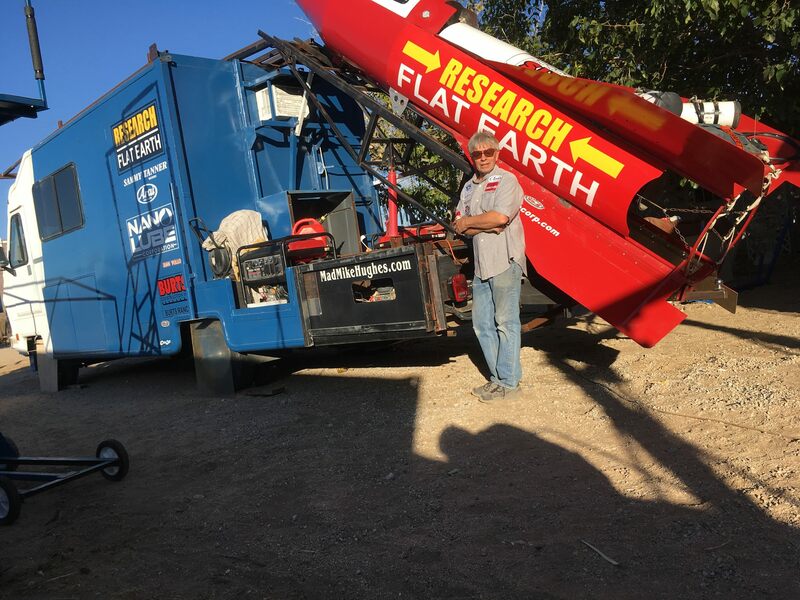 The video shows Hughes in Amboy, California, the small town where he said he planned to launch the rocket that says “Research Flat Earth” across the side. And he’s bragging about how the mission has already been a success. It was successful, he says, because it gained media attention for himself and Flat Earthers. In other words, many critics were right: This was nothing more than a publicity stunt. I know, I know, it’s hard to believe someone who said he’d launch himself 1,800 feet in a rocket to prove the Earth is flat (when he could much more easily use a hot air balloon) would be doing it for the attention. But hear me out. The stunt appears to be more about his ego than anything else. 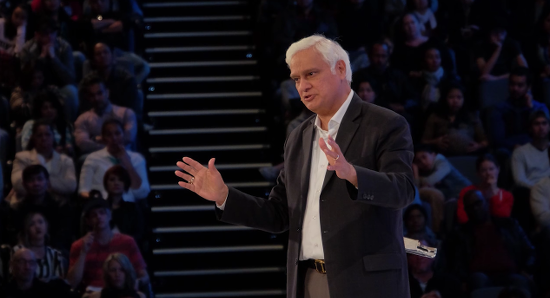 In that video, Hughes suggests the launch will still happen “in a few weeks,” which is a far cry from the Nov. 25 launch date he is still advertising on his website. He continues to blame “the government” for the delays, but the Bureau of Land Management has previously contradicted his account. 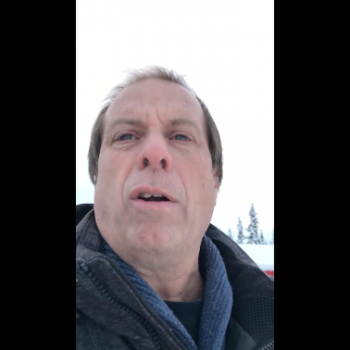 In the video, Hughes is already fundraising for his next spherical-planet-debunking rocket, which he says will take him 62 miles into the air. This, of course, comes after he raised at least $8,000 from Flat Earthers who supported his yet-to-be-seen first launch, despite the fact that he built the rocket from scrap parts in his garage. Hughes got the attention he wanted. You could go even further and say this is representative of the entire Flat Earth movement — it’s not like they ever cared about the science — but Hughes still claims he’ll go up into space. Eventually. I doubt that, but if it ever happens, we’ll be waiting at the crash site with a Darwin Award in hand.